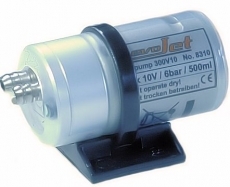 The evoJet FP300 fuelpump is suitable for many different jet engines. 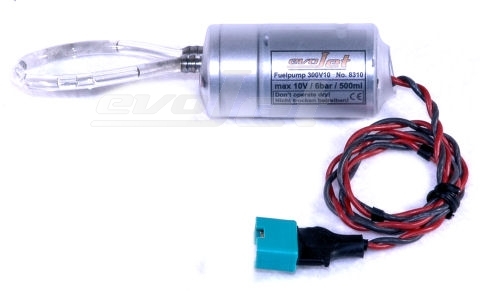 It can handle up to 800 ml/min Jet-A at 10 Volt supply. The pumpwheels are made of high grade steel and gives an excellent durability. The FP300 is already run-in and tested well. The silicon-lead is about 40 cm and equipped with an MPX connector. Delivery contents: Ready to use incl. pumpmount . This Product was added to our catalogue on Thursday 10 February, 2011.